The new Hotel RFP is global, more efficient and easier to use, quantifies vendor sustainability practices and incorporates web service functionality for automation of data transfer. The process to examine and update the Hotel RFP was done with support from sponsor Hilton Worldwide. 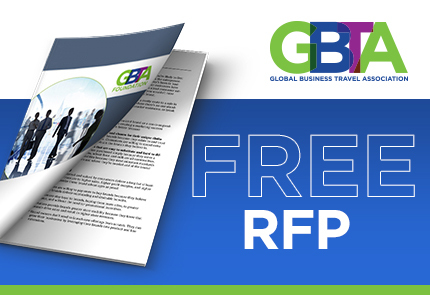 GBTA Foundation, along with members of the GBTA Hotel Committee, the GBTA Foundation International Taskforce and Technology Taskforce, and over 50 volunteers from around the world conducted an extensive review of the previous RFP format. The groups created the new Hotel RFP to provide an invaluable resource for the hotel negotiation season.